Question: “I run a mid sized contact centre. We try to recruit people with happy and chatty personalities, and generally we do a pretty good job at building up rapport with customers. Each call centre discipline, be it sales, or service, requires a distinct set of skills and abilities. Complaints management is no exception to this. It can be one of the least rewarding parts of the operation. It might be that your staff feel powerless at being able to assist or convey empathy to your customers. It’s like asking someone to put a nail through a block of wood without a hammer. This can leave your people frustrated at the end of the day. Firstly, examine the demographic of your customers. In my experience, a good complaint operation will recruit a demographic similar to the customer base. Then ensure that your team have some bandwidth to rectify the customer’s concerns without giving away the shop. There will always be a tipping point between satisfying a customer and it costing the earth, and leaving a customer disappointed and keeping your bottom line intact. I also recommend a change of business ethos to the complaints experience. Consider treating each complaint as an opportunity to improve the business as a whole, and making sure this resonates right down to the agents themselves. Thanking the customer for trusting your business to put it right helps to disarm an angry customer. Asking the customer what it would take to satisfy them is also an excellent tactic to quickly identify the objective in the customer’s mind. It will also help your agents frame the conversation around what is possible. Lastly, ensure that your staff have the right communication skills to empathise with the caller. Not everyone has these skills. Consider softer skill training such as NLP to help your agents feel more confident communicating with angry customers. This sort of training goes beyond your business, and gives them life skills they can take with them for the rest of their career. Listen to your customer and make listening noises; you’ll find right away that it really defuses people if they know someone is listening to them. I believe that it’s important to get a customer saying yes, so repeat the problem back to them and make sure you get their buy in: “yes, that is my problem”. Take ownership… the main complaint of difficult customers ironically isn’t the issue causing the trouble but that no one is taking ownership and working on getting it resolved. If a customer feels that someone has stepped up and taken ownership they will forgive immense amounts. Give them a 30-second call every day until the situation is resolved, or better yet get it resolved and give them a call the next day to make sure it’s okay. Your people must have the ability to terminate calls without passing customers up the chain of command if the customer’s behaviour is offensive. I believe that the basic dignity of the agent must be more important than the retention of the aggressive customer. Anyone in the contact centre industry will know that dealing with upset customers has simply become part of the territory. 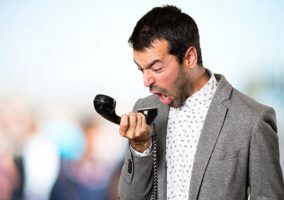 Recently customers seem to be getting more aggressive with agents, especially those on the inbound side, which can often lead to an innocent agent bearing the brunt of an angry customer’s outburst. However, an agent is not defenceless and needs to be able to demonstrate that they are the ones in control of the interaction. There are a few steps that they can take to diffuse potentially difficult situations. Let the customer air their complaint without interrupting, and take written notes if necessary to better understand why the person is upset. In most cases once an irate customer knows someone is listening and is actually sympathetic they will calm down and are then more inclined to listen. As the saying goes, the customer is always right. Yet this is not always the case. Whether a customer is right or wrong, listen attentively to get their point of view, ask questions and reiterate that you can appreciate why they’re upset. This helps lower the person’s defences and gives you a better chance of proposing a resolution. Above all else if you or your company are at fault or have made a mistake, admit it. There is nothing more important than keeping the customer happy, but ensure that your actions are also in line with business objectives. Replacing a defective product or offering a billing adjustment, even if the customer is actually the one in the wrong can be better for your business in the long term. Spending £500 to retain a customer who spends £5,000 annually can be considered money well spent. Issue a proclamation of, “Here’s what we’ll do,” and then do it to the customer’s satisfaction. As the first point of contact within your company it is important to invest in continuous training, on-demand coaching, call recording and scoring, scripted “solutions” and post-call customer surveys to prepare agents to deal with irate customers more effectively than ever. Solutions such as Interactive Intelligence’s portfolio of Customer Feedback Management products can help deliver all of these benefits. Interaction Feedback, with a wizard-driven interface, is software that allows call centres to write their own customer satisfaction surveys and determine how often they are carried out. The product portfolio also offers real-time speech analytics, identifying changes in the customer’s or the agent’s voice to detect a heightened state of emotion. An alert can then be sent to a supervisor allowing them to coach the agent using the whisper function of Interactive Intelligence’s Customer Interaction Center or to jump into the interaction, helping to achieve first-call resolution. 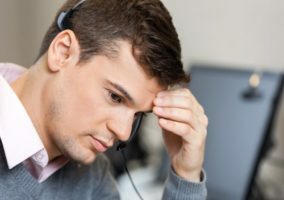 This is a very interesting issue and one that many contact centres experience but fail to tackle fully, allowing it to become one of the reasons for staff attrition. As with many things there is more to do than training! 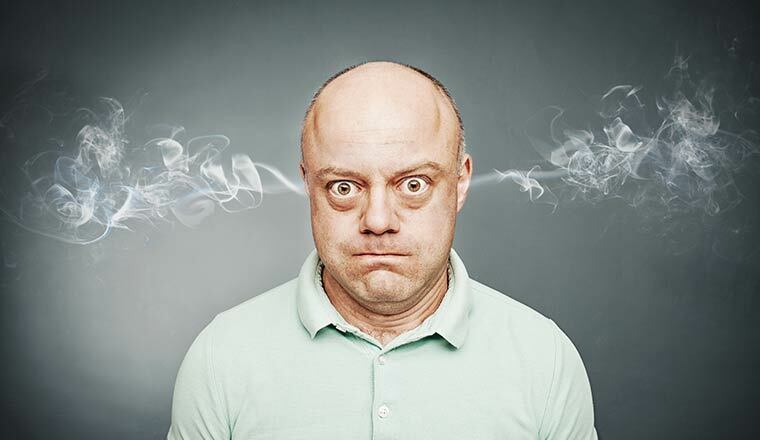 Think about the last time you felt really angry – close your eyes and remember how you felt at the time. Did you want to talk or listen? You will find it very difficult to move the conversation forward until the customer feels you have listened. Calm things down, talk quietly and slowly, and acknowledge their feelings ‘I understand how you feel’, ‘it must have been really annoying’, ‘I can understand that’. The customer will not be able to listen to you until they have calmed down. Ask each team to collate a list of sympathetic statements and practise them. But remember it’s not just the words that take the heat out of a situation, it’s the language used and the empathy shown. The customer now needs to know that you understand what has happened. Using the customer’s name in a conversation gets their attention and helps you take control back in the call. Turning a challenging call into a positive experience is a part of most agents’ everyday life, so give them the tools to become professional call handlers through coaching and training. Building rapport with customers is very important to delivering high quality customer service but not, in my opinion, as important as other factors such as accuracy and first time fix. To deliver these consistently, your customer contact operation needs to work right – from top to bottom. It’s an approach that focuses heavily on the role of the advisor in delivering a sustainable level of superior client service. Attrition, for example, needs to be at manageable levels so that customer service skills can be enhanced and honed. And advisors must be fully aware of their roles and responsibilities, and empowered to meet customer demands. This principle of ‘enabling people’ extends to giving your people a view of the bigger picture. For example, we recently undertook a session to educate employees on how many customers our client needed to make a profit, how much it costs to service customers over the phone, and how much it costs to recover from a poor service incident (in repeat call costs, etc.). We also got them thinking about how their individual behaviours influenced customer service, and gave them stats to compare the performance of our client against rival companies and see if they could spot trends in performance and customer requirements. It’s also important to give staff flexibility when it comes to meeting customer needs. Every organisation needs rules, but sometimes it’s necessary to think outside of the box to solve a tricky issue and keep a customer loyal. Advisors must be confident about their ability to resolve issues and deliver positive customer experiences. When it comes to dealing with a complaint or an irate customer, the first thing that needs to be in place is a formal set of complaints procedures. That’s important to establish the ground rules and to ensure that advisors know what they are able to do and say – and when they need to escalate customers. When calls are escalated to a more senior member of staff, we also encourage advisors to listen into those calls to learn for the future. I would imagine that the root cause is something to do with some customer expectation not having been met – for example, goods not received, incorrect payment taken, failure to remedy the situation within the expected timeframe, etc. 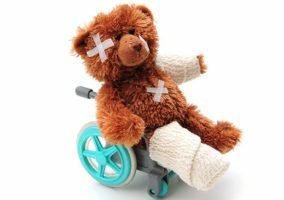 So apart from the emotional distress to your agents in having to deal with such a barrage of abuse, the real ‘issue’ is perhaps caused by your organisation itself – failing to do something that leads to such a distressed reaction from your customers. So are these ‘outbursts’ really examples of complaints that the organisation can learn from? What makes this particularly relevant is where you already have a process to review the specific customer issue – call recordings to review, case notes to investigate, etc. The contact centre could have the mandate to work with colleagues elsewhere in the company to put right what is broken. And then when they have done this to communicate the improvements to all the staff in the contact centre so that they do not have to live in fear that the next distressing phone call is just round the corner. The other area that the contact centre can influence is the customer expectation itself. Are promises being made that are not being kept (failure one) where the customer is then not being informed (failure two)? Take the example of the repair man due to call between 9am and 12 noon tomorrow. The customer makes their arrangements to be ‘at home’ and then no one turns up in the morning. Frustration is understandable and the poor old agent is the focus of their anger when the customer calls in to find out what is going on. Whilst the reason that the repair man is unavailable within the time limit may not be solvable, keeping the customer in the loop definitely is. As soon as the organisation knows that there is a high probability that a customer promise will not be met, an action plan should kick in. The contact centre agent should make an outbound call and then use their rapport-building skills to explain the situation to a (probably calm) customer and give them options to resolve their situation. Can the repair be rescheduled, can a temporary fix be provided or does the organisation need to reprioritise its resources to avoid a serious situation? When your agents take control of the situation in this way, and help the customer to get the service they deserve from your organisation, then it is surprising how rewarding this can be for your staff. A heartfelt ‘thank you’ from a customer who recognises that the call centre agent has gone out of their way to help them is great recognition indeed. Instructions from management to “terminate abusive calls” although at first glance may seem supportive, can on occasions be unnecessary and non productive, as staff may feel disempowered and the callers rage increases and is delivered to the next team member in the form of another similar or worse situation. It is important staff are given tangible support to help them in telephone and face-to-face situations. This issue is here to stay, in fact according to all the research, it’s on the increase. To understand the impact of great customer management cannot be underestimated. To make a great start to a conversation, can in itself prevent a customer being abusive. Within the first few seconds of the call or meeting the customer realises that the organisation is keen to resolve their burning issue. Great conversational techniques, holds, transfers and body language all play their part in building confidence in any, not just potentially abusive situations. So, what if great customer management alone doesn’t work? Well if it’s a telephone call, have an opening message announcing calls may be, or are recorded for training / security purposes. This will certainly have an impact in reducing initial aggression and should be seriously considered. Anyway, what’s all the fuss? We hear abusive language all the time! The language in question is likely to be one of two/three words used, mostly about the situation or the organisation. On occasions these “words” are also directed (it appears) towards the staff member. The words in question are, many people regret, commonplace in today’s conversations. The “F” word was decriminalised a while ago, as the High Court created a new piece of case law deeming this an everyday word. Surely it’s the context in which the word is being used which is most important? So, where does that leave us? Well, it is the way we individually receive and interpret this behaviour, which should be the first focus of attention. The origins of these behaviours makes for fascinating and practical learning. The psychological model “Transactional Analysis” provides a simple mechanism to help staff understand the caller’s behaviour and just as importantly, their own reactions and feelings. This new insight allows staff to become “detached” from the emotions and allows them to manage the issues and positively manage the behaviours of the customer and themselves. This is a no-nonsense technique, whereby the customer is told that the behaviour is not acceptable (usually the language). Downsides: The customer may well call back or get even more irate. The staff member can feel disempowered (they may feel they could have handled it without much difficulty). Benefits: Can surprise the customer as they are expecting a battle about their behaviour. (This may be the desire in itself!). It has potential to sort the problem out. This option can be hugely satisfying for staff and reduces the need for escalation to a boss. One main problem staff face is that when under the pressures of a really tough conversation their logic thinking mechanism can desert them. It’s a medical fact, that when we perceive ourselves to be “under attack”, our brain functions focus upon “fight or flight” objectives, leaving us exposed when asked to perform a simple task (think of the exam questions, the driving test, the simple question on a TV game show!). It is therefore vital staff are able to develop useful “sound-bites”(See examples above, (Options 1,2 and 3) and think about which “soundbites” are most likely to work for you and best reflect your organisations values!) to utilise in such eventualities. Teams, who examine experiences, compare these with the Psychological model and rework appropriate “adult” responses. The start to any conversation between an agent and a customer can only be negative if the customer has been waiting on hold too long – the number one general complaint we hear of all the time. It’s not possible to employ enough agents to answer all calls at peak times within say 20 seconds so an alternative solution has to be found..
Generally, customer complaint because their expectation is unment. From consumer’s point of view, customer PAY for the services that they are using, it’s not FREE. Brilliant customer will make sure every single cents they spent is worth it & give them the outcome exactly as they wanted. Should there be any disruption in between that cause service failure, as they well aware of their right as a consumer and they have paid for the service that they are using, they’ll not tolerate in demanding for “compensation” from the service provider. For them, the company MUST DELIVER what they have pormised to customer & the company must be RESPONSIBLE for their failure. For customer service agent who come across complaining customer, I think the effective measurement in dealing with them is to put yourself in customer’s shoes, listen attentively & get to root cause of the problem, to find out whose fault. Take ownership & update customer from time to time about the latest outcome of the investigation. This, will make the customer feel “safe”, at least. Knowing that someone is concern and doing something to resolve the problem. Yes, company (service provider) may suffer loss as they might need to refund the money to the customer. But in the long run, I believe the outstanding service provide by the customer service agent is the most crucial part which will attract the customer to keep coming back as they trust & feel somebody is there for them if anything gone wrong. We had the same issue in our call centre and so developed a Customer Service Workshop. This way, rather than just emailing our employees with a list of techniques, they all particiapted in a 3 hour workshop looking at communication styles, communication techniques and dealing with compliants. Its easy for staff members to get emotional when they are being attacked on the telephone. Teach them to relax – the customer is not angry at them, just the company/situation. After all they can only do this for so long – once they are out of steam you can begin to problem solve the query. If you interrupt the customer, you will make them more irate. While you are letting them vent, show them you are listening with small verbal cues, and also be empathic – not sympathetic. e.g, I can understand why that would be frustrating. paraphrase their request. Take clear, concise action and tell them what you will do. Ensure that they are happy with the resolution. If an issue is recurring, instead of just dealing with it each time, talk with management about improving processes so the issue is minimised in future.